I wanted to cry but no place felt right. I wanted to sing but no song was found. I wanted to express the love of a created being. Searching high and low, but no words could say, could say just how I feel. 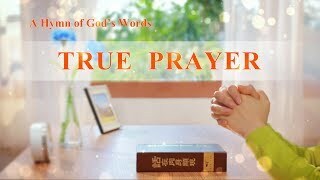 Practical and true God, the love inside my heart. I lift my hands in praise, I rejoice that You came into this world. Man came from dust, and God gave him life. Satan came down to corrupt mankind. Lost are their humanity and reason. Generation after generation, fallen since that day. But You are … the practical and true God, the love inside my heart. I am dust but I can see Your face. How can I not worship? The practical and true God, the love inside my heart. I am dust but I can see Your face. How can I not worship You? God created man and loves him so, that He became flesh again, bore good and bad, adversity and sorrow, saving us and bringing us to a beautiful place. We will always thank You. The practical and true God, the love inside my heart. Corrupt, but You have saved me! How can I not worship? The practical and true God, the love inside my heart. Corrupt, but You have saved me! How can I not worship You? How can I not worship You? How can I not worship You? 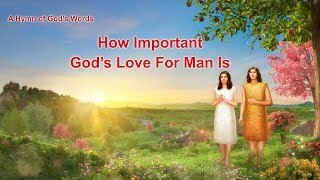 Christian Song | God Is Sovereign Over all Things | "None Can Hinder God's Work"
Do You Really Know the Returned Jesus Christ? 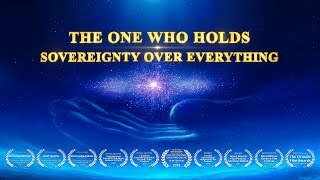 | Gospel Music "The Identity of Christ Is God Himself"